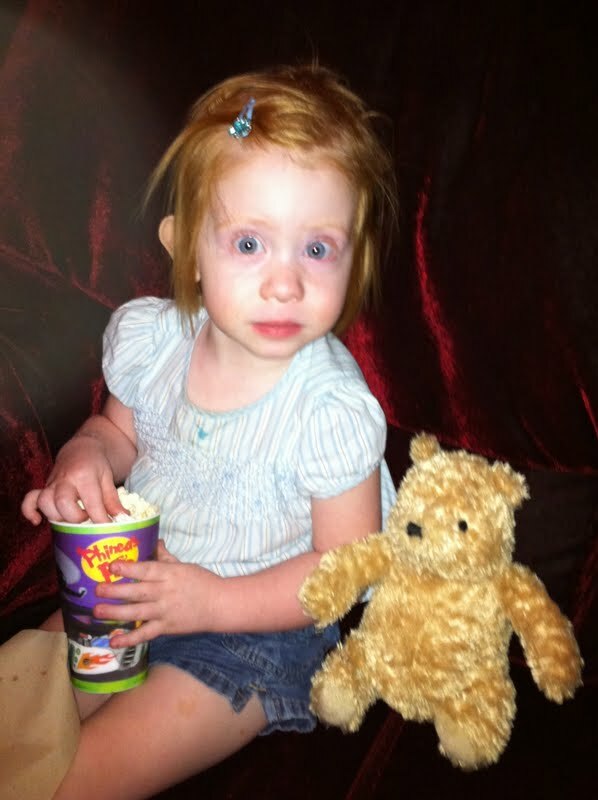 We saw the new Winnie the Pooh movie and Olivia brought a friend with her. And yes, I'm also the Mom that brings along cups to the theater so my kids can easily hold their own popcorn from the big bag. 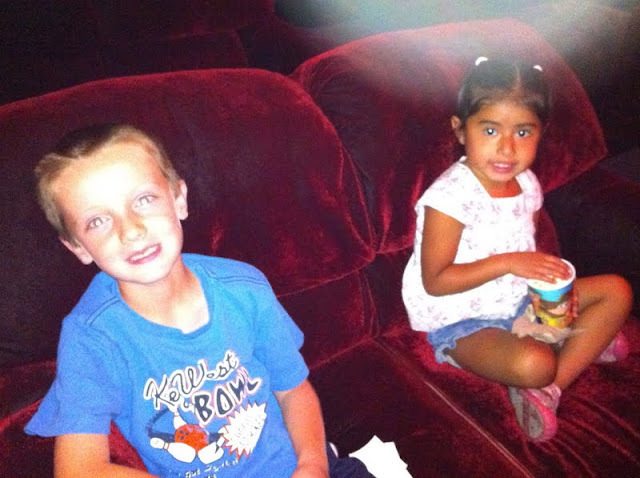 The kids really liked the movie and I was thrilled that a lot of the stories we had been reading were included in the plot. 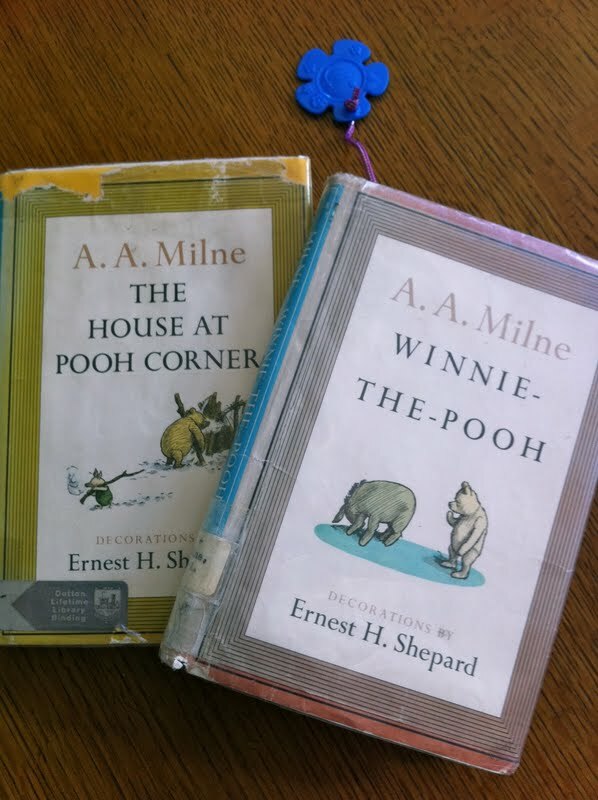 My kids have loved listening to the stories in our newest library books (pictured below) but I must admit that they are a little tough to read aloud to the younger kids (older/dated language, narrator confusion, etc.) but it's been worth the extra effort as they laugh a lot! It's been fun to revisit some of my own childhood memories and to teach the kids about the original Hundred Acre Wood gang (not this version). Has it been a long time since I've been to a movie! Those seats look like my sofa. Plush and snuggly..where do you go to see a movie?